An “oil war” is unfolding on the European petroleum market, which so far involves Russia and Saudi Arabia but soon may also see Iran weighing in. For Russia, this is fraught with losing nearly a third of its European oil supplies. Russia’s share in the European oil market is under threat as European refineries boost purchases of crude from Saudi Arabia, reports Russian online publication Gazeta.ru, citing a source in the petroleum industry. According to Reuters, in recent months, several oil majors have stepped up purchases of Saudi crude oil for their refineries in Western Europe and the Mediterranean, including Exxon, Shell, Total, and Eni. On Oct. 13, the head of the Russian state-controlled oil giant Rosneft, Igor Sechin, said that Saudi Arabia had started selling its oil in Poland – at prices that were below the market. However, while this could spell trouble for Moscow’s share of the lucrative European energy market, Russian analysts have so far been cautious in their assessments of this trend. “Oil from Saudi Arabia was present on the European market before. In 2010, Europe accounted for some 10 percent of Saudi oil exports, about 30 million tons,” said Alexander Pasechnik, head of research at the National Energy Security Fund. According to Pasechnik, this is about the emergence of a new logistics corridor rather than simply a redistribution of market shares. “The Polish port of Gdansk has started receiving oil consignments from Saudi Arabia. There may be conditions for a rise in cooperation here and, as a consequence, certain risks for Russia,” he said. Is Saudi oil so dangerous for Russia after all? Experts polled by RBTH say that the expansion to the European market is one of the most logical steps for Saudi Arabia to take since oil-producing OPEC members are not trying to reduce the volume of production. “In order not to oversaturate the existing market of buyers, it is far easier to expand its boundaries,” said Yury Prokudin, an analyst with foreign exchange resource Fx Bazooka. Meanwhile, Iran’s imminent arrival on the world oil market adds further urgency to the situation for regional rival Riyadh, which may be attempting to consolidate its grip on markets ahead of Tehran’s entry. “As soon as sanctions against Tehran are lifted legally, Iranian oil will start to make its way onto the European market. It may well be that this is exactly why Saudi Arabia has decided to strengthen its position in Europe now,” said Pasechnik. Yury Prokudin said that while the exact terms of supplies are not yet known, “one can deduce from the current situation on the market that a barrel of Saudi Arabian oil will cost European consumers $48-49, i.e. $4-5 cheaper than a barrel of Urals [crude],” adding that potentially Saudi Arabia could offer an additional discount of $0.5-1. 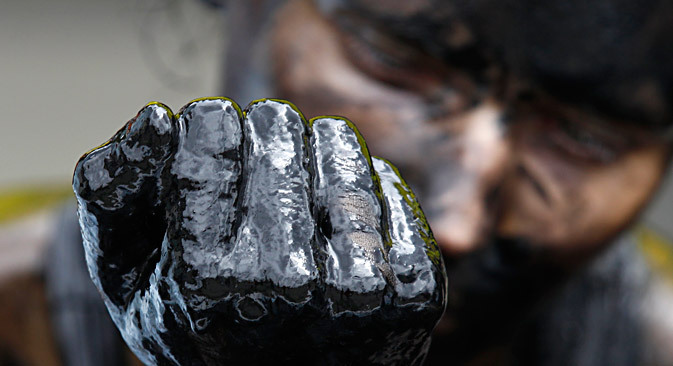 At the moment, Russia meets about 25 percent of Europe’s oil requirements. This year, supplies have grown by more than 5.5 percent, to 97.6 million tons. However, according to Yury Prokudin’s estimates, in the coming year Russia may lose up to a third of this. For his part, Alexander Pasechnik believes that a rise in Saudi oil supplies is more of an alarm bell than a real threat for Russia. “For European refineries to switch to Saudi oil, investment is needed and a change of the existing logistics chains, which means additional costs. Even the lower price of this oil cannot offset the necessary investment,” he said. What are the possible scenarios for Russia? If Russia starts to lose its share of the European oil market, the shortfall could theoretically be compensated by supplies to China, since, according to forecasts, purchases there will rise by 3.2 percent a year. Having said that, there is a risk that in the long-term Russia will face a shortage of investment in the oil sector and a reduction in oil production, which would threaten the guarantee of meeting Asian demand. This is one of the scenarios being considered by the Russian Energy Ministry. How will the war in Syria affect the Russian economy?